The Opening Ceremonies for the 2014 Winter Games in Sochi took place earlier today, but the competition actually began on Thursday for many athletes. Among them was Norwegian snowboarder Kjersti Buaas, who was taking part in the women’s slopestyle qualification. 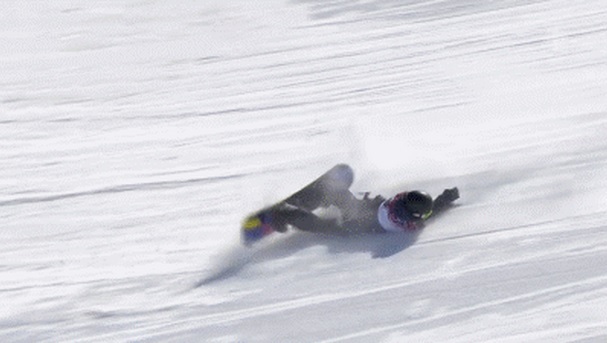 And in a frightening turn of events, Buaas’ Olympic experience nearly ended before the torch was even lit when she took a nasty tumble during one of her runs. According to Buaas, she “only ruptured a muscle,” and despite some severe back and stomach pains, she’s still expected to take part in the women’s slopestyle semi-finals on Sunday. Only ruptured a muscle?!?! That’s the kind of talk that would impress even the toughest of hockey players.